What Are Rose Bush Leaf Wilt Diseases? Many diseases cause rose bush leaves to wilt. 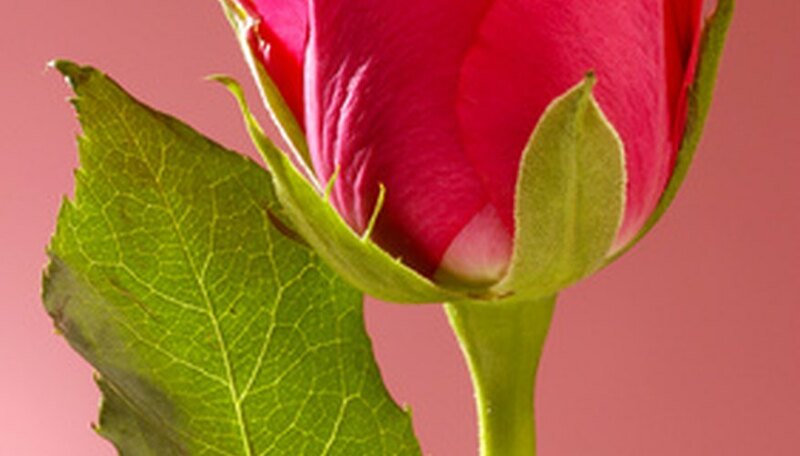 Roses are susceptible to fungal diseases that flourish in moist conditions. Water rose bushes in the morning, so the leaves have a chance to dry in the sun. Good air circulation is an important disease preventative. Roses do not like to be planted too close together. Healthy soil rich in composted humus is the basis of healthy plants, and healthy plants are more disease resistant. New leaves wilt and older leaves turn yellow when a rose bush is infected with the Verticillium fungus. This is a soil-borne fungus that interferes with the plant’s ability to draw moisture from the soil into its stems and leaves. Hot summer weather brings out the symptoms and causes it to spread. Remove affected areas and prune to a 10-inch main stem with several side branches. As the rose re-grows, begin a preventative spraying program using anti-fungal natural sprays such as garlic. Black spot is caused by a fungus, and it can result in the complete defoliation of a rose bush. Circular black spot 1/16 to ½ inch in diameter appear on the upper side of the leaves. A yellow halo around the black area appears. As the disease progresses, the bush is weakened and the leaves wilt. The black spotted area spreads and the leaves may fall off prematurely. This disease is spread by splashing water. Remove leaves already infected and use organic fungal sprays such as a mixture of garlic, dish soap and pepper. This disease also causes rose bush leaves to wilt and curl. Leaves, buds and stems are covered with white, powdery mildew. The white powder is filled with fungus spores that are carried on the wind. The mildew spreads rapidly in warm, humid weather. Prune and destroy all diseased plants in the spring. Powdery mildew is also a fungal disease and can be treated with organic anti-fungal sprays. An organic spray can be made from baking soda, vegetable oil and water. The powdery substance created by this fungal disease is black. The rose bush leaves wilt, turn yellow and fall off, and the new, young shoots fall off as well. High humidity and temperatures below 75 degrees cause this fungus to flourish. Good ventilation is a deterrent, but the immediate removal of diseased leaves and canes is ultimately necessary. Treatment is the same as for black spot and powdery mildew. 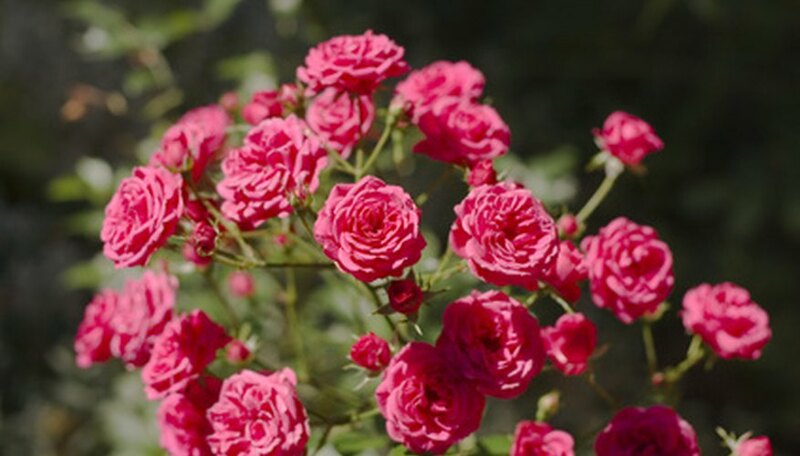 If the rose bush survives the fungal attack, use a preventative spray of compost tea on newly forming stems and leaves.